The Catholic Rosary Mysteries are the prayers of the Gospel. The Gospels are the four books of the Bible that tell of Jesus' life from His Incarnation to His Ascension. ...that someone is Jesus Christ. The Rosary has a body and a soul so to speak. Just as people are made up of body and soul so is the Rosary. The body is the matter and the soul is the form. The mysteries of the Holy Rosary are the soul of the rosary prayer. The body or these prayers hold the Rosary together, whereas the mysteries give it it's life and purpose; it's soul. Mary herself revealed this to Blessed Alan when she said, "These (Angelic) salutations while meditating on the life, death, and passion of Jesus Christ - for this meditation is the soul of this prayer." What Is A Rosary Mystery? We are not talking about a mystery that you would find in a Sherlock Holmes novel. Rather, these rosary mysteries refer to the mysteries in the lives of Jesus and Mary like the presentation of Jesus in the temple and the finding of the chiid Jesus in the temple. Here the word mystery denotes a sacred event that is difficult to understand using logic. All the works of Jesus are mysteries in this sense because He is divine, both true God and true Man. Because Mary is immaculate and the most pure of all God's creatures, the events in her life such as her assumption and her coronation are also mysteries. 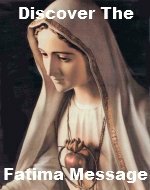 The mysteries of the Rosary are organized a specific way. Each set of mysteries contain five decades. They have been organized into different sentiments like joy and sorrow and are usually arranged in chronological order of how events unfolded the life of Jesus. enlighten you about the life of Jesus"
The above list of rosary mysteries may seem unfamiliar to some. The traditional 15 mysteries of the Rosary were the Joyful Mysteries, Sorrowful Mysteries and the Glorious Mysteries. Pope John Paul II added the Luminous Mysteries of the rosary in 2002. 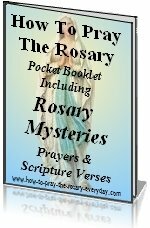 ...the complete 20 mysteries of the Rosary. The rosary mysteries are usually said on specified days so that you can really allow all 20 mysteries of the Rosary to permeate your life. This also too brings more significance to certain celebrations during the Catholic Church's liturgical year. The Rosary mysteries tell the story of the life of Jesus: from His many miracles and teachings like the wedding feast at Cana and the changing of the bread and wine into His body and blood at the last supper ; to His agony and being humiliated and crowned with painful thorns and even carrying His heavy cross to Calvary; to the fulfillment of His promise to send the Holy Spirit. By meditating upon these events of the life of Jesus, you begin to imitate Jesus himself. This allows you to lead a much more serene and purpose filled life. This is the reason Jesus, God made Man, came into this world. "I am come that they may have life, and may have it more abundantly."